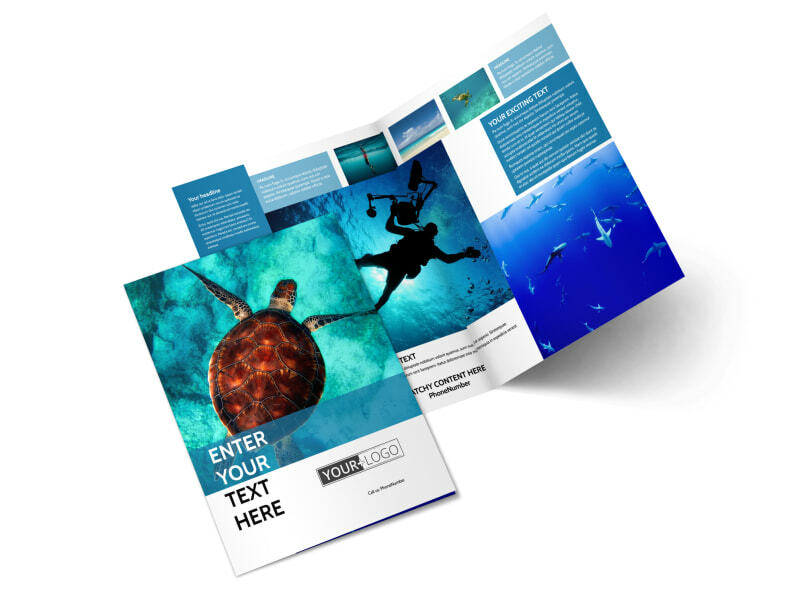 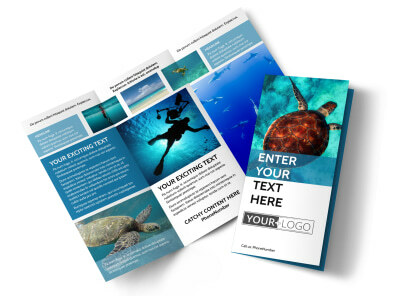 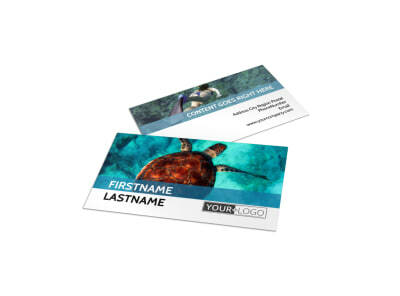 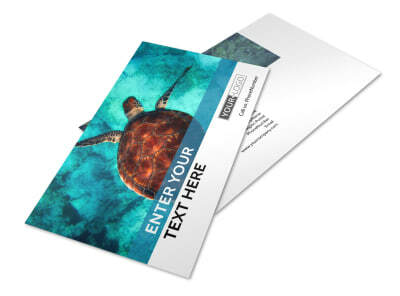 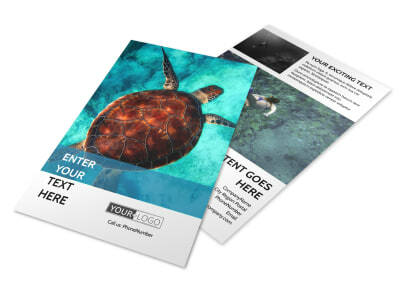 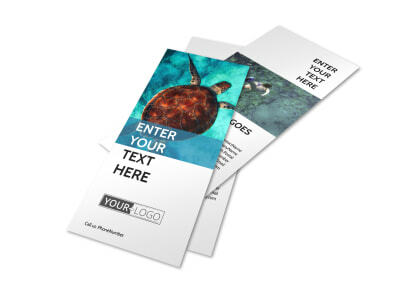 Customize our Scuba Diving Brochure Template and more! 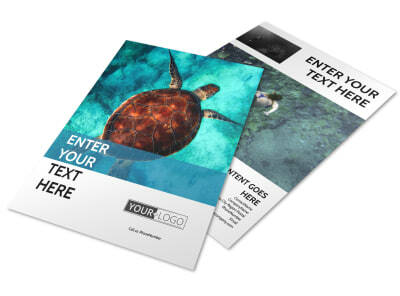 Encourage landlubbers to find their sea legs with scuba diving brochures you design yourself using our online editor. 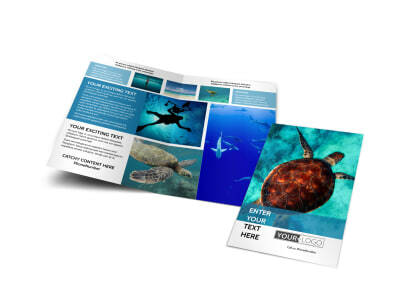 Customize your choice of template with exciting images of underwater adventures, along with compelling text inspiring adventurers to sign up for a scuba diving lesson. 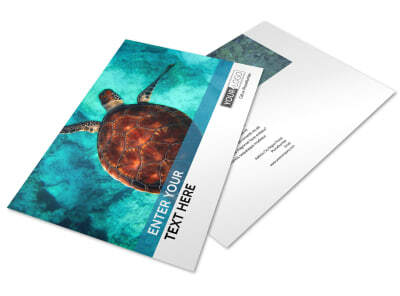 Modify the color theme and add additional design elements before sending your design to our printers.